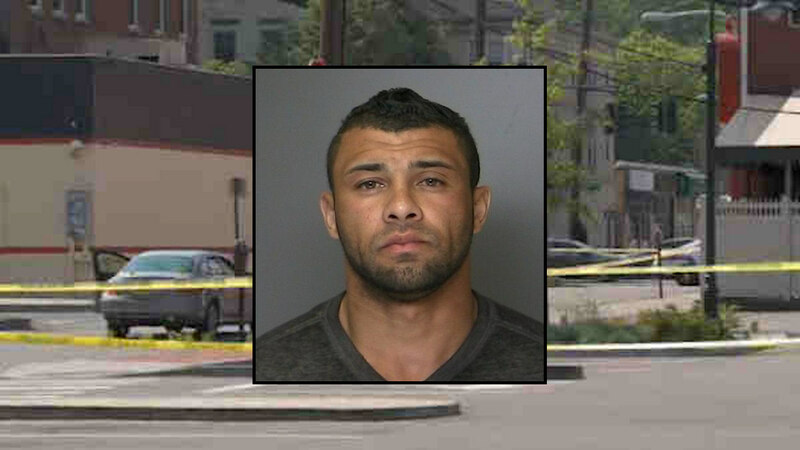 HUNTINGTON, Long Island (WABC) -- Suffolk County police made an arrest in the murder of a man in Huntington Village. Samuel White, 32, was arrested for the murder of 39-year-old Edwin Rivera. He is charged with first-degree manslaughter. "We don't get this kind of stuff around here," Lloyd Harbor resident John Franco said. "Very safe. You can walk around all the time, no problems. I don't know, I can't imagine what happened." Police tell Eyewitness News that it was just after 3 a.m. when a call came in about a man with a bloody face lying outside a bar on the ground near his car, a 2015 Mercedes, with the door wide open. "Two people who were uninvolved, the bar was also uninvolved, that should be noted, two pedestrians walking and noticed it, came upon it," Suffolk County police Lieutenant Kevin Beyrer said. The man was rushed to the hospital, where he was pronounced dead. "It's very scary," Huntington resident Joseph Schuktz said. "Like, to know what happened, hoping the details come out." The Suffolk County Medical Examiner will perform an autopsy to determine the cause of death. It's not yet known if the victim knew the suspect.